Unshamed: Baring Our Secrets and Our SoulsA Woman's Place: Power, Passion, PurposeFight and Flight: A Benefit for the Baltimore City Cancer ProgramBloodlines: Upheaval and PeaceImpulse: Responses to Music, Rhythm, and SoundMoving Passages and Moving Passges II: Dances Inspired by WritingB.A.R.E: Bodies, Attitudes, Reflections, ExposedCircle Back: TenfoldAQUEOUS: Awakening Our Connections to WaterMorton Street Dance Center, Inc.
(September 7, 2017), Baltimore, MD -- On November 4 and 5, Baltimore’s Full Circle Dance Company will present Unshamed: Baring Our Secrets and Our Souls, a concert to benefit the Bridge Program, a domestic violence intervention program whose mission is to break the cycle of intimate partner violence. A program of the Center for Injury Prevention and Policy at the R Adams Cowley Shock Trauma Center at the University of Maryland Medical Center, the Bridge Program provides assessment, crisis intervention, advocacy, education, and counseling to people who have experienced domestic violence. At the center of the benefit performance is a new work by award-winning choreographer Donna L. Jacobs, whose dual identity as both an artist and a hospital administrator provides a rare perspective on this public health issue. At the root of Jacobs’s choreography are deeply personal stories. 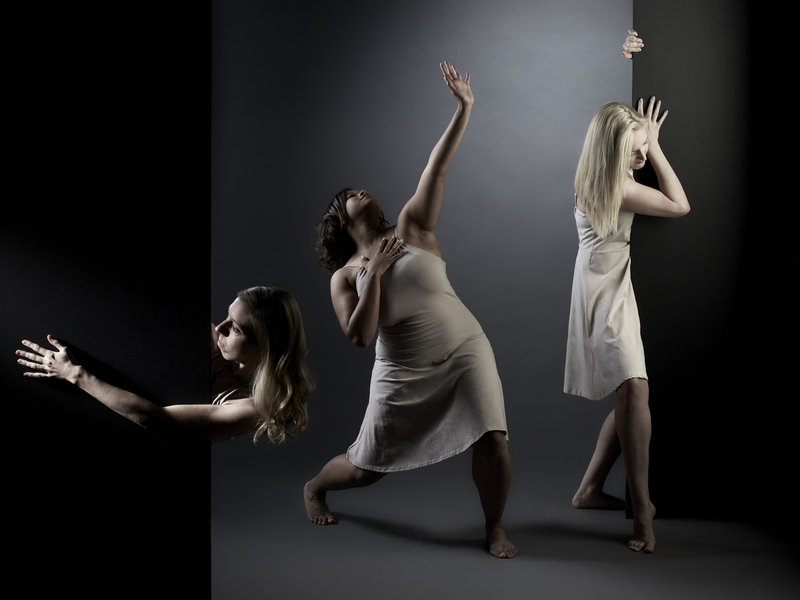 Drawing on the diverse experiences of participants in the Bridge Program, Full Circle’s 17 dancers, and members of the community at large, Jacobs has created a dance that explores the complex issue of domestic violence from many angles. A key theme is the way secrecy and shame make breaking the cycle especially challenging. Supported by a Ruby Grant from the Greater Baltimore Cultural Alliance, this new work will challenge the audience to bring discussion of domestic abuse into the light and to envision solutions at both individual and societal levels. Harriet Tubman, Marie Curie, Maya Angelou, Mother Teresa, Gloria Steinem, Betty Friedan. Each of these famous women shook the world, breaking barriers and defying expectations. The names Wendy Kopp, Hildegard of Bingen, and Ruth Handler may not be as well known, but all three of these women challenged entrenched ideas to make an impact. 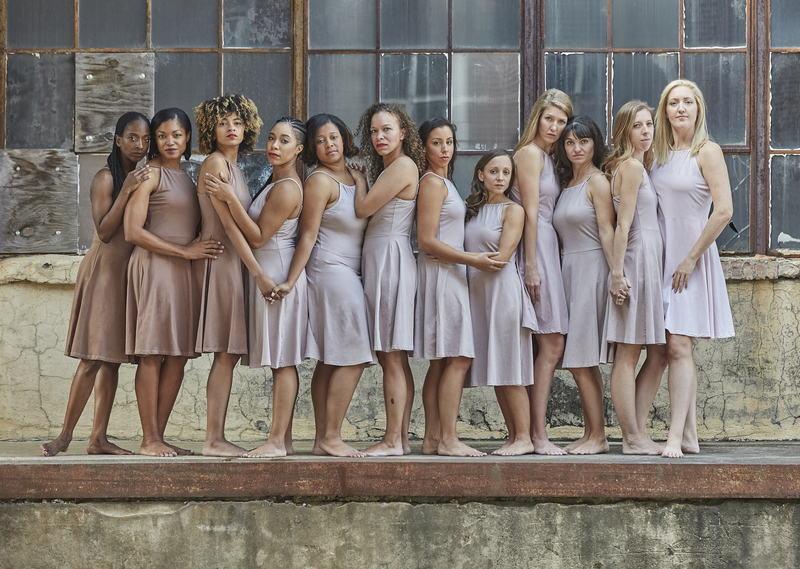 On November 5 and 6, Baltimore’s Full Circle Dance Company will tell their stories in A Woman’s Place: Power, Passion, Purpose. 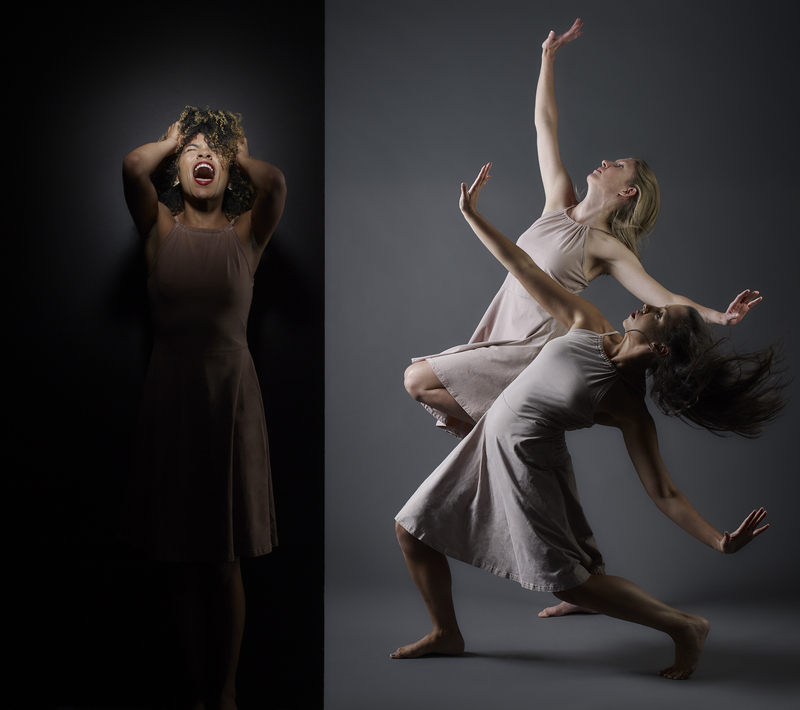 The performance is the dramatic culmination of a yearlong choreographic exploration of the lives of women who have driven change. 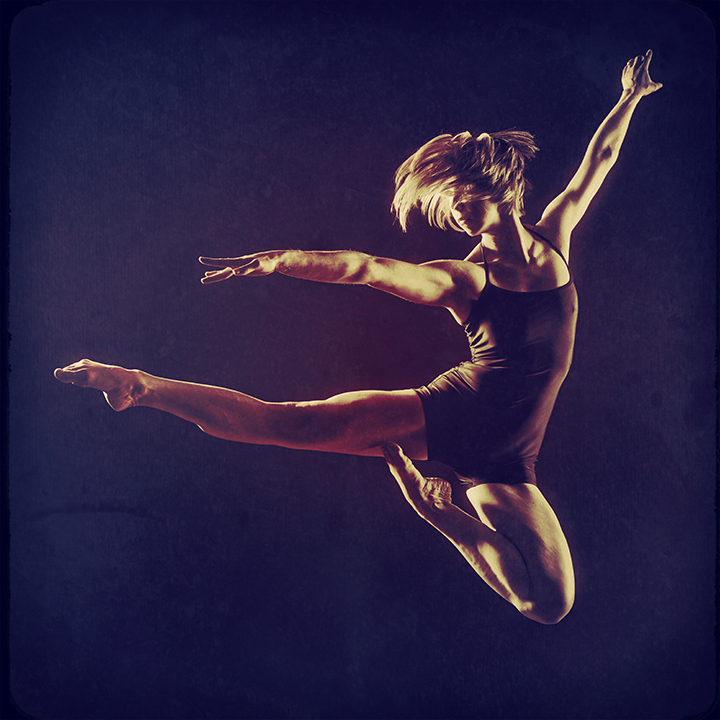 With diverse movement styles, stunning costumes, and an incredible range of music, eight choreographers will bring the stories of these groundbreaking pioneers vividly to life on the stage. What drove Marie Curie to persevere in her dangerous work in an environment of disrespect? How did Maya Angelou’s experience as a civil rights activist, artist, and dancer inform her work as a writer? What motivated Mother Teresa to take actions others deemed impossible and hopeless? What can we learn from the complicated legacy of Ruth Handler, inventor of the Barbie doll? How were perceptions of Gloria Steinem and Betty Friedan shaped by stereotypes about beauty? How did the medieval nun Hildegard break all the rules to become the most famous woman of her time? What makes education pioneer Wendy Kopp think she can fix America’s failing schools? These are some of the fascinating questions explored in this riveting performance. 2016 marks Full Circle Dance Company’s 16th year of presenting professional modern dance in Baltimore and throughout the region. The company performs frequently by invitation in Maryland, Virginia, and Washington DC, and has also performed in Arizona, Tennessee, Ohio, Connecticut, and New York. Since 2004, Full Circle has explored in depth themes selected for their relevance to the community, often incorporating community participation in the creative process. 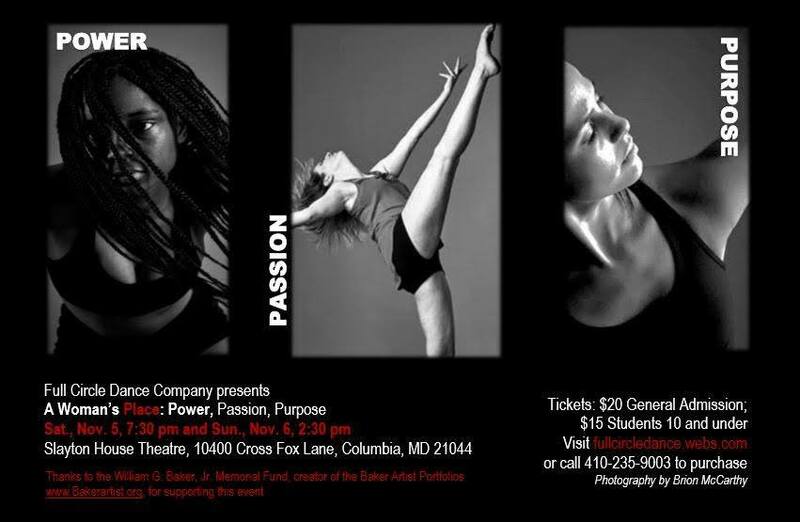 For media inquiries, to arrange interviews, to attend a press rehearsal, or for photographs or video clips, please contact Liz Pelton, [email protected], 410-257-9350.
dancing, with proceeds to benefit the BCCP, which is part of the University of Maryland Marlene and Stewart Greenebaum Cancer Center. At the heart of this performance will be a new work that draws on stories shared by the women of the BCCP’s “Living and Loving Life” Breast Cancer Support Group. 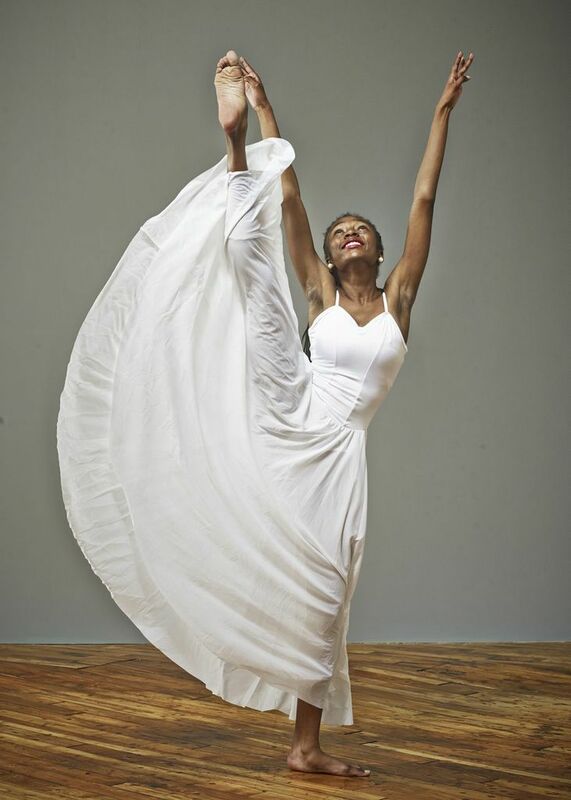 Choreographer Donna L. Jacobs has drawn on her own experiences with breast cancer as well as on the insights provided by women in the group to create a new work that expresses both the individuality and universality of the experience of cancer. rivalry, infidelity, and domestic violence are part of the story, along with love, nurturing, and the wonders of childbearing. Our families are sources of support and struggle, values and sometimes vices. Washington DC, and Ohio tackle the theme from different angles, with dramatic results. exhausted. Jennifer Seye looks at couplings that cross racial and gender boundaries in multiple ways. friendship. Hope Byers celebrates the blending of cultures within and beyond the family. 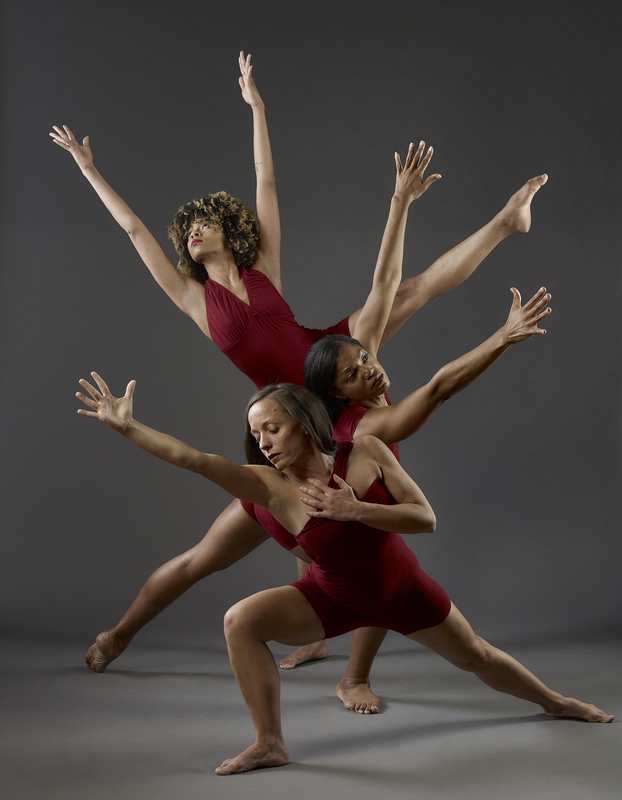 And Ohio-based choreographer Travis Gatling takes a moving look at women’s varied experiences and changing place in families. issues—both contemporary and timeless—and the marks they leave on all of us. 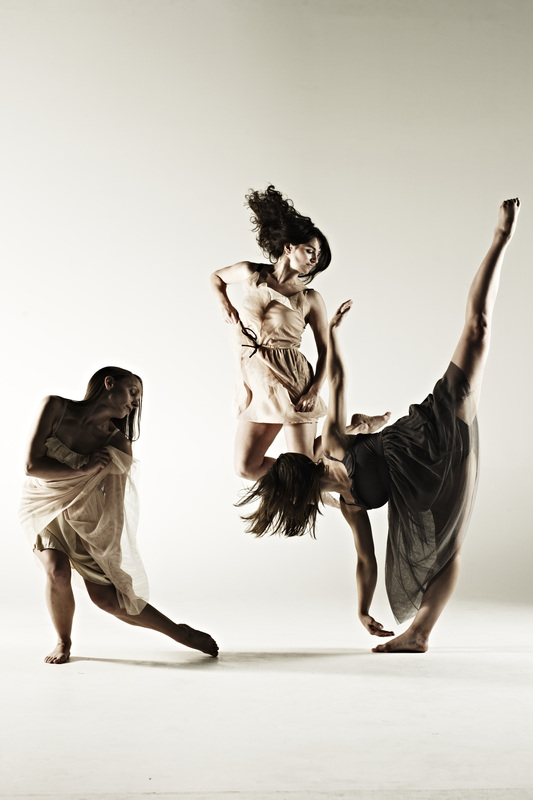 Full Circle Dance Company: "Impulse: Responses to Music, Rhythm, and Sound"
Full Circle Dance Company's 12th Annual performance season is titled Moving Passages: Dances Inspired by Writing. It features several new works all created from the impetus of twitter feeds, Shakespeare sonnets, Poe poems, and personal stories. 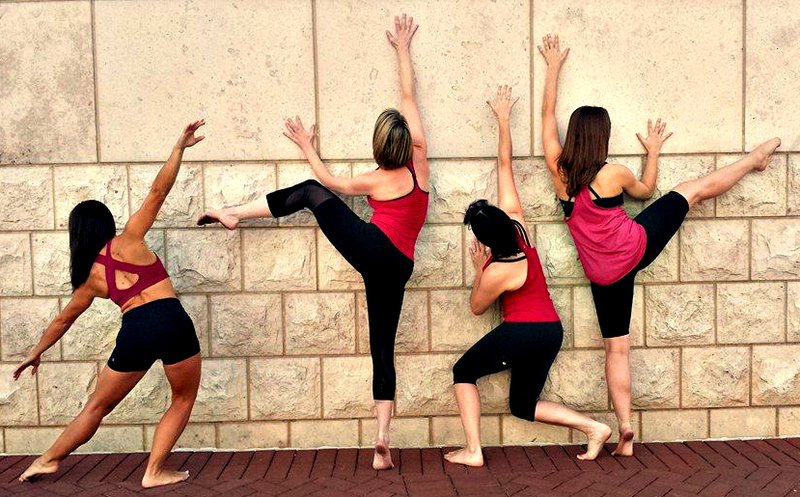 Baltimore?s Full Circle Dance Company has invested a full year exploring controversial and provocative issues related to body image. 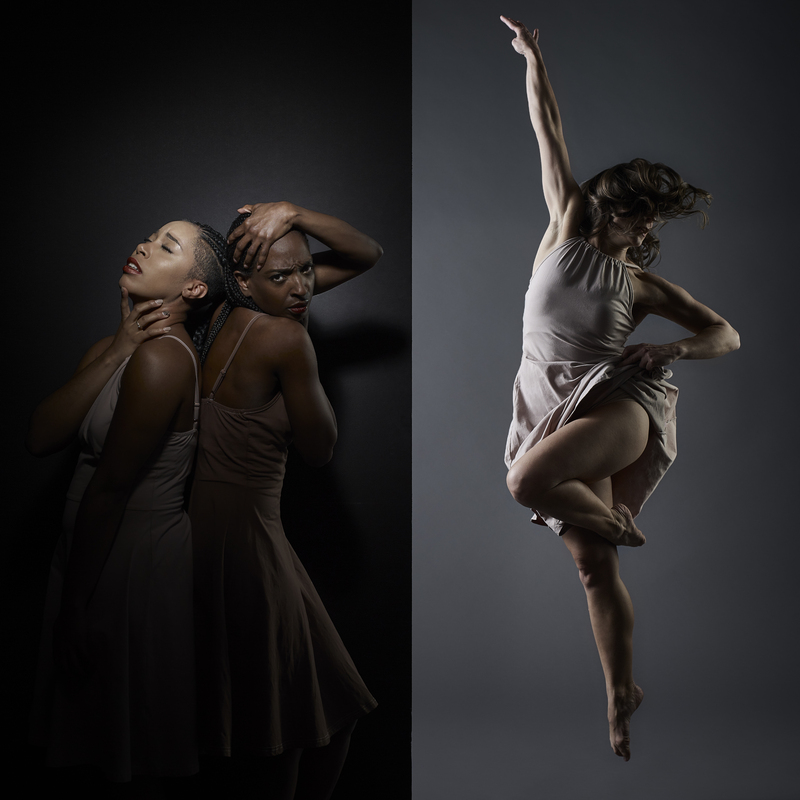 The result of this journey is B.A.R.E., a performance of new works by seven choreographers, each with a unique perspective on anxieties, stereotypes, and secrets related to the body. B.A.R.E. will premiere November 4 and 5 at 7:30 pm at the Baltimore Museum of Art. Race, prostitution and sexual power, the fashion industry, and even dancers? own relationships with their primary artistic tools are among the themes investigated in the new works. *A dance of frustration at the absurdity of ?one size fits all? clothing labels. Parts of this dance take place in a department store dressing room, where efforts to find a fit reach fevered hilarity. 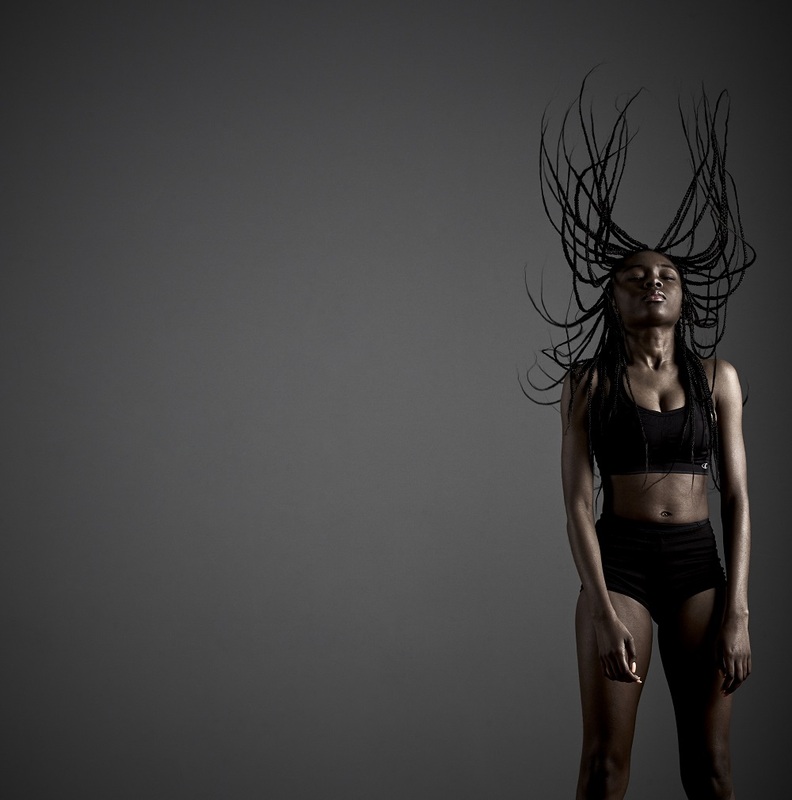 *A dance that considers contemporary fashion images of women as well as the story of Saartjie Bartman, the African woman exhibited in 19th-century Europe as ?The Hottentot Venus?. 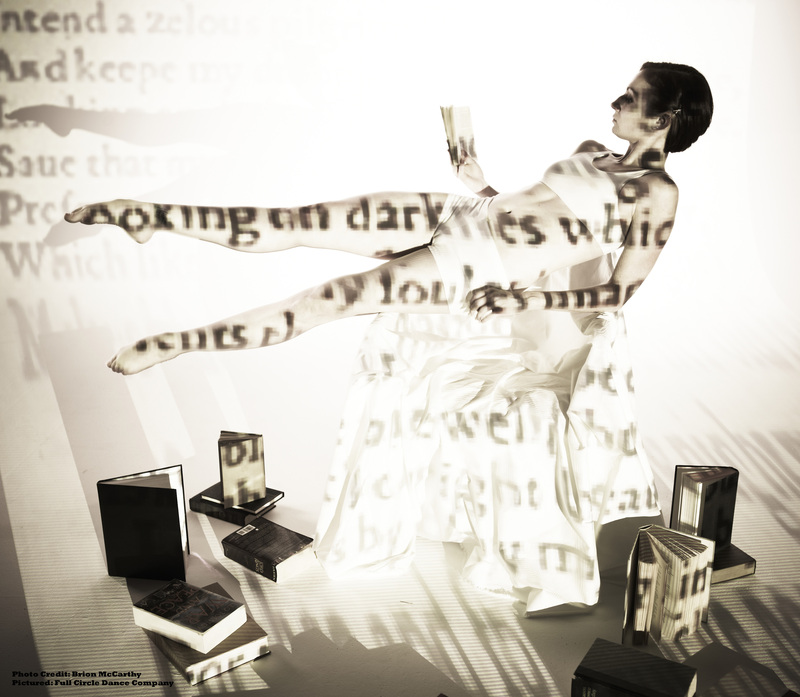 *A work built from the words and worries of ordinary citizens, who shared their body secrets with the choreographer via anonymous postcards. *A moving, heart-pounding examination of the ways abuse can warp body image and strong relationships can help repair the damage. *A layered exploration of the ways sexuality can both enslave and free women and of the power dynamics involved when women?s sexuality is exploited. 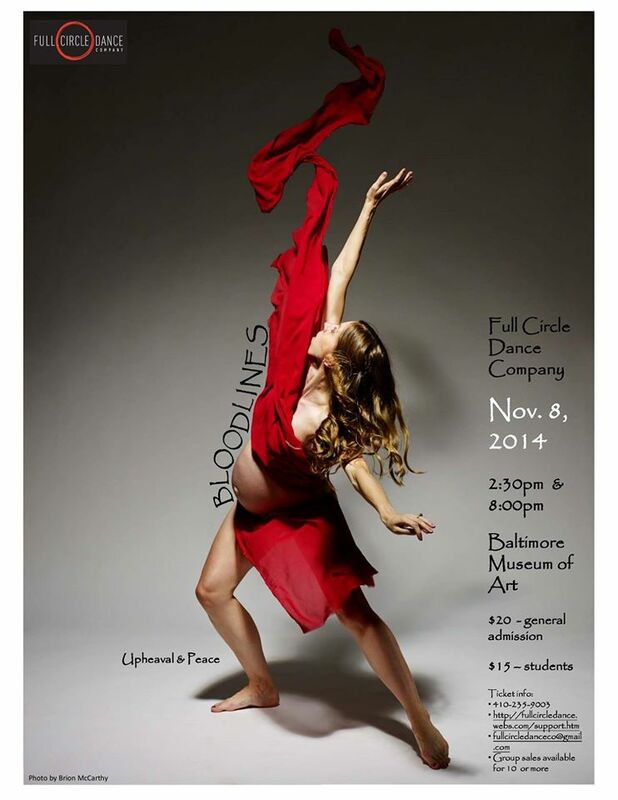 Full Circle is well-known to Baltimore audiences for technical, athletic, and moving work on such challenging themes as race, religion, and motherhood. Now in its eleventh year, the company has been a visible cultural ambassador for its home city, performing by invitation throughout Maryland and in Arizona, Virginia, Washington DC, Ohio, New York, and Connecticut. B.A.R.E. 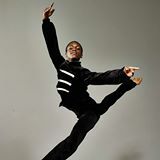 features newly commissioned works by Ohio choreographer Travis Gatling, company director Donna L. Jacobs, Washington choreographers Hope Byers and Kakuti Lin, and Maryland choreographers Timothy Phelps, Allison Powell, and Jenny Seye. Set to a vibrant range of music, some composed specifically for this performance and some performed live, B.A.R.E. is designed to provoke, amuse, and engage its audience, uncovering emotionally powerful issues that too often remain concealed. 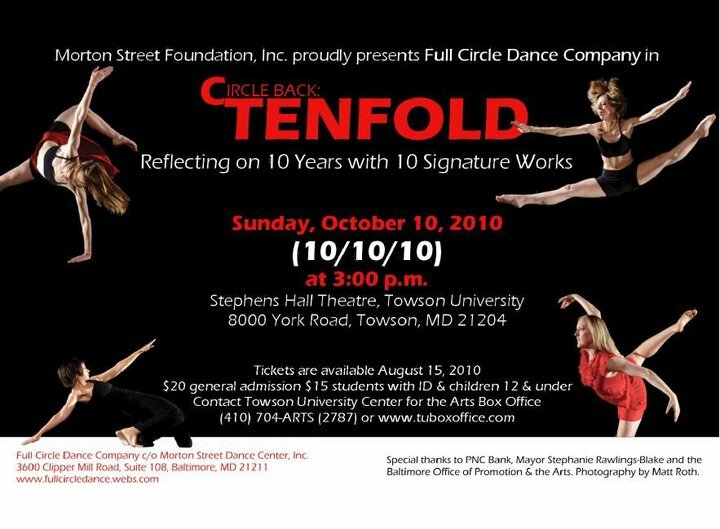 On October 10, 2010 (10.10.10), Full Circle Dance Company commemorated 10 years of making its home in Baltimore with a concert of 10 signature works it has presented over the past decade. 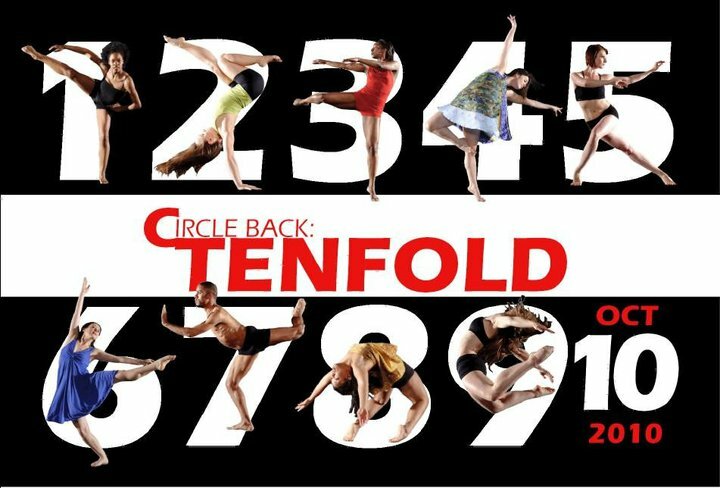 Entitled Circle Back: Tenfold, the performance included moving excerpts from the companyâ? 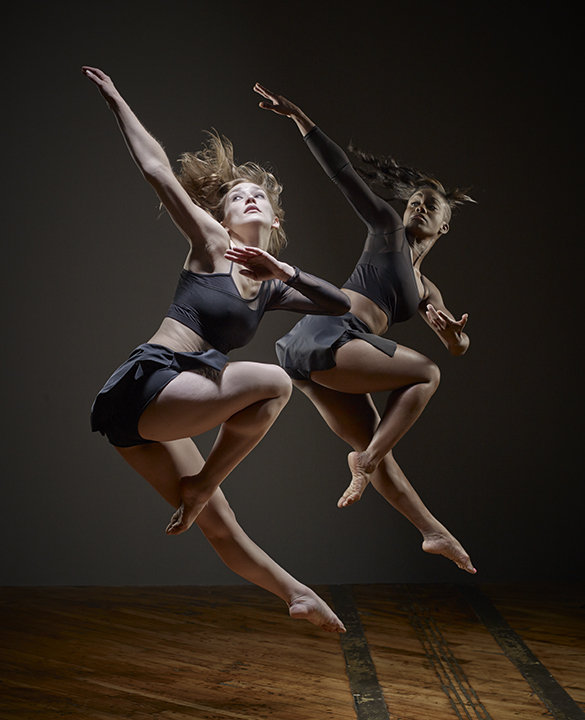 ?s deep investigations of race and religion, favorites by award-winning company director Donna L. Jacobs, and signature athletic dances by Ohio-based choreographer Travis Gatling. And in recognition of the many dancers and choreographers who have helped shape Full Circle over the years, alumni and special guests joined company members onstage in a rousing, floor-shaking excerpt from Gatlingâ? ?s electric Sin Shakers and Shouters. 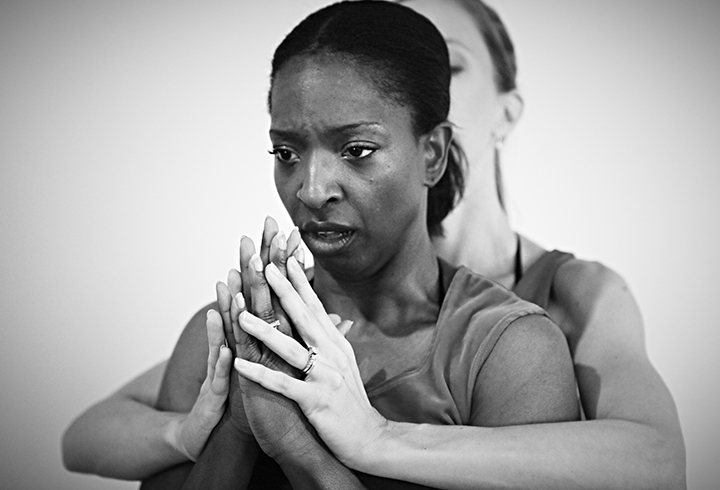 Watch our preview to see excerpts of the company's best work featured in Circle Back: Tenfold. 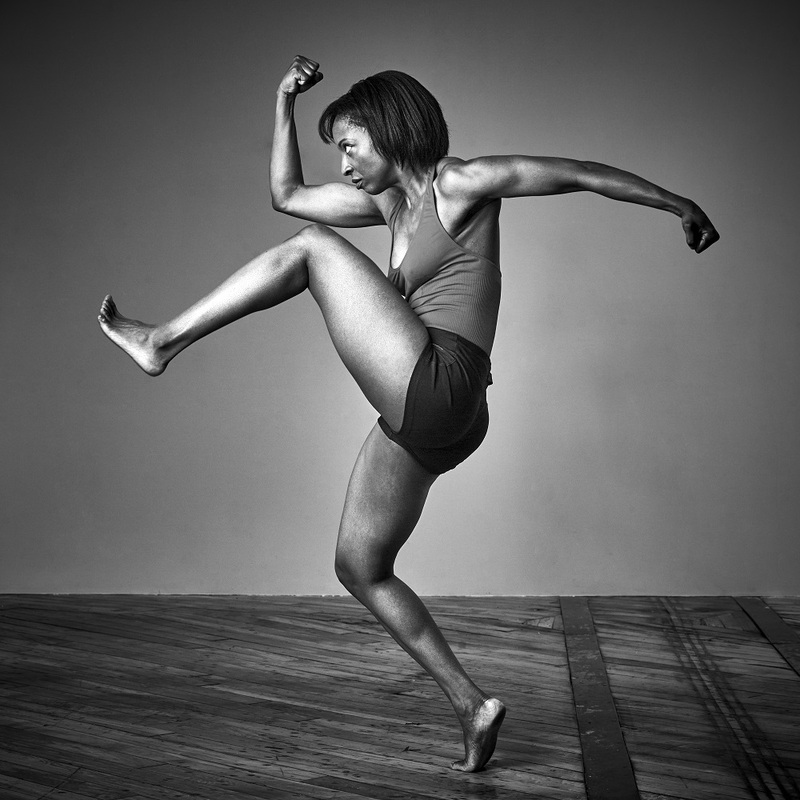 It is a true synopsis of how our company represents Baltimore's dance community! From throb of the vast sea to the perfect stillness of a single drop, from the devastation of its absence to the destructiveness of its overabundance, from its impact on the soul to its mark on literature and culture, we cannot escape the power of water. On February 27, 2010, Baltimoreâ? ?s Full Circle Dance Company presented Aqueous: Awakening our Connections to Water at the Baltimore Museum of Art. 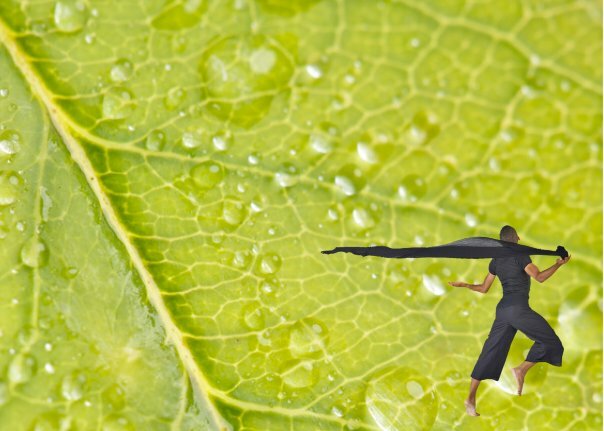 The Aqueous project was a yearlong artistic voyage by five different choreographers, each creating a wholly different work and united by their interest in water. Every piece presented at the concert was newly commissioned, and together represented the diversity of viewpoints for which Full Circle has won local and national attention. 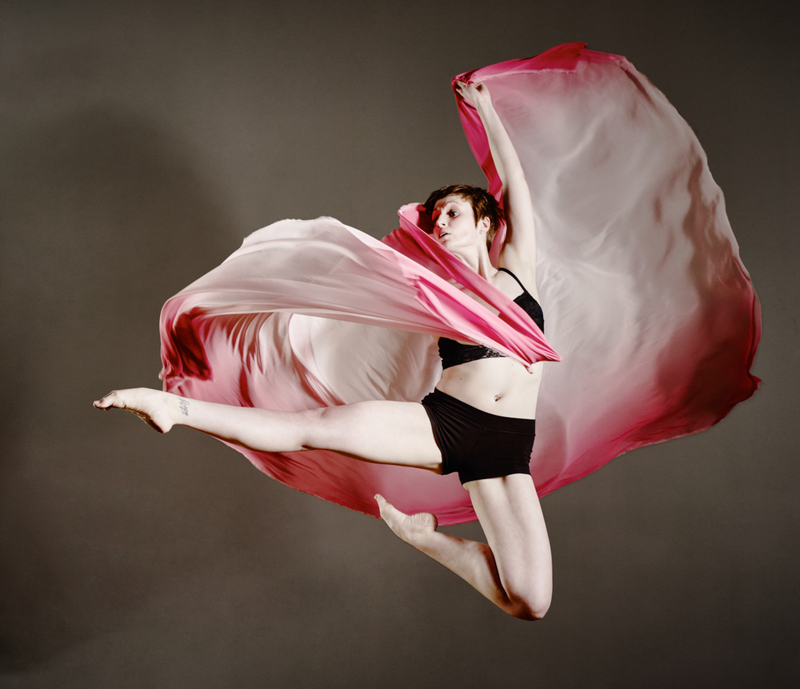 Virginia-based choreographer Erica Feriozziâ? ?s â? 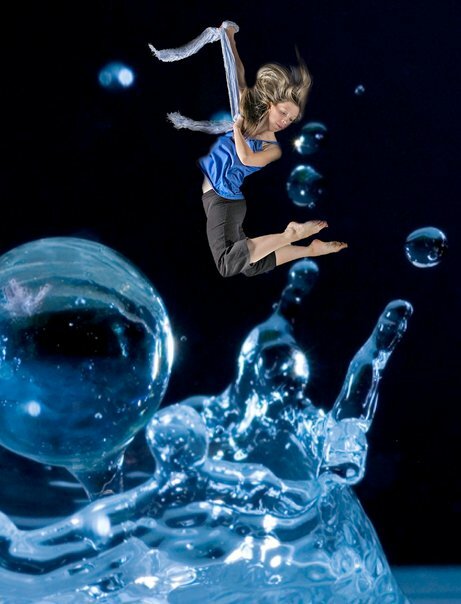 ?The Last Dropâ? began with the swirling eddies and whooshing waves of abundance. Urging the audience to appreciate the sustaining beauty and power of water, Feriozzi then challenged viewers to ponder the dwindling and loss of this life-giving resource. Full Circle artistic director Donna L. Jacobs explored water legends across cultures. Her dynamic and rhythmic choreography, etched with timeless images of water gods and goddesses, vividly expressed waterâ? ?s central place in human cultural and spiritual life. 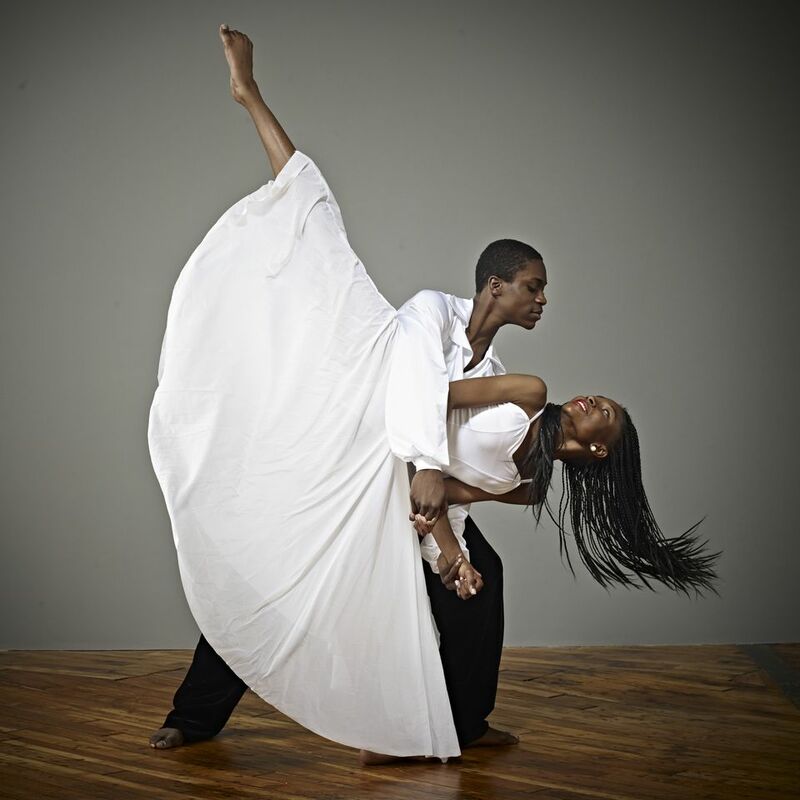 Ohio choreographer Travis Gatling, whose lush and powerful movement style has impressed audiences around the country, drew inspiration for his new work from Kate Chopinâ? ?s novel The Awakening. "Thirst" explored the seductiveness of water and our fascination with it as a symbol of deep inner yearning and desire. 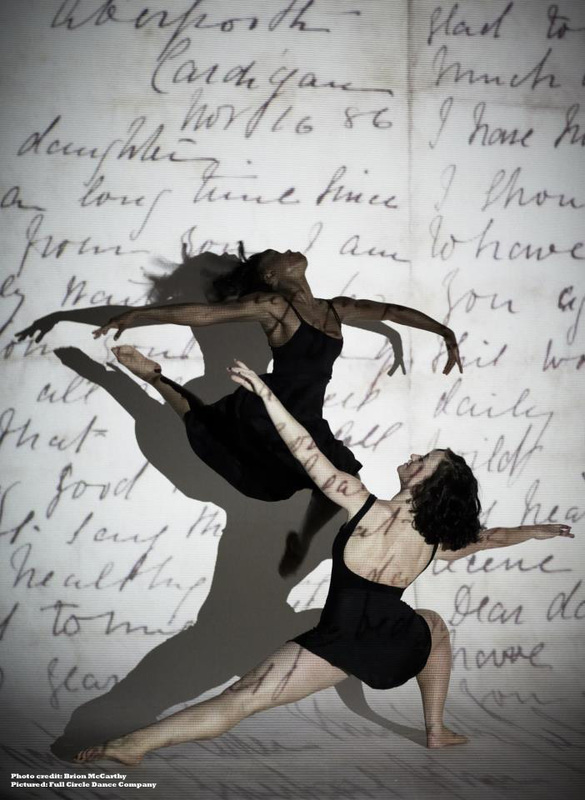 Inspired by the impact of both water and art on the human soul, Maryland choreographer Allison Powell created a powerful duet that was both athletic and introspective. Defying gravity and inverting the human form, Powell abandoned the limits of the solid and captured the freedom of the liquid. Washington DC choreographer Hope Byersâ? 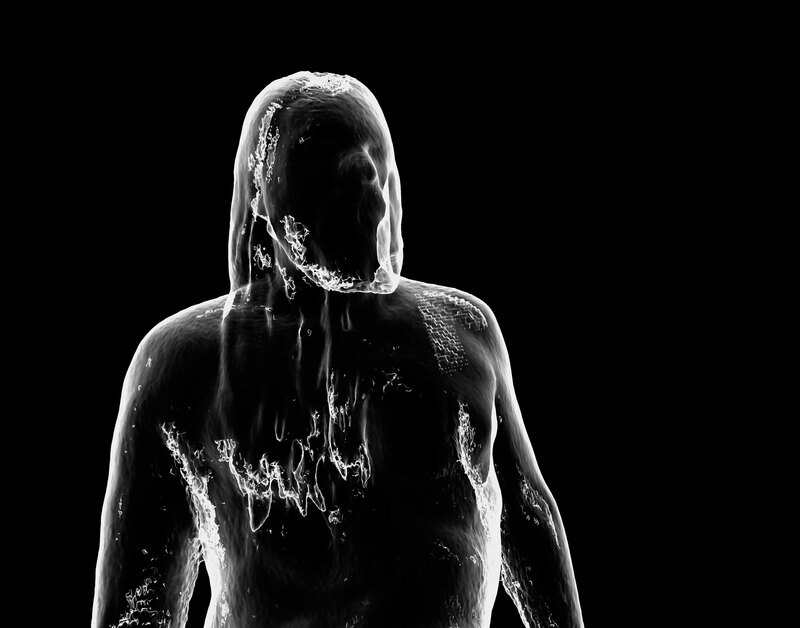 ?s work reflected on the universality of spiritual cleansing and purification rituals. Exploring links between physical purification and spiritual purification, Byers called on the audience to see personal experiences of cleansingâ? ?such as baptismâ? ?as part of the larger human spiritual story. 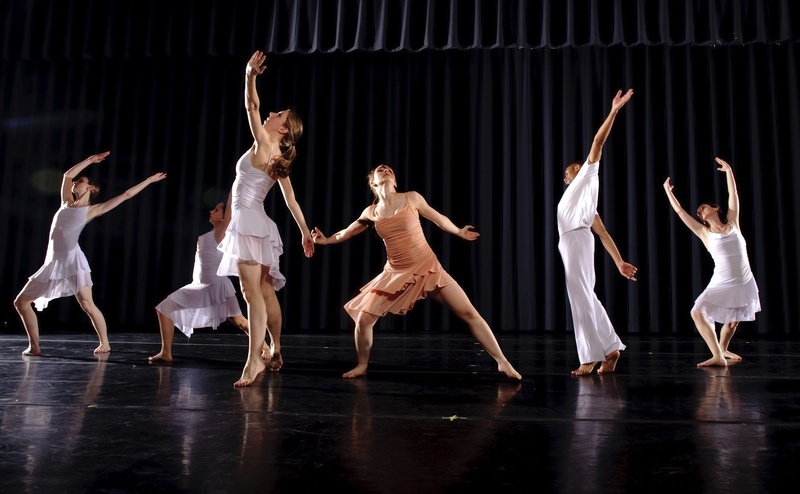 Full Circle Dance Company is committed to outreach, and the Aqueous project reached beyond the stage and into the community. 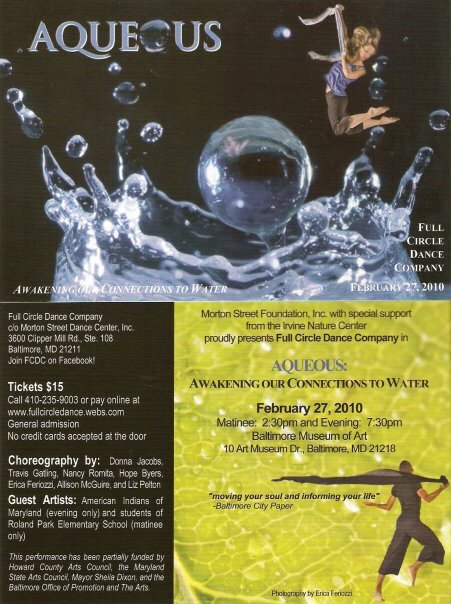 The matinee performance featured a guest appearance by students of Roland Park Elementary School, who had collaborated with Full Circle to create a dance about the Chesapeake Bay. As one of our fans told us "Aqueous was just dripping with beauty!" The result of our collaboration with Roland Park Elementary School students for the Aqueous Project. Read the full review by Thomas Pelton below: "A Chesapeake Nutcracker, With a Pinch of Crab Swirling jellyfish, tumbling crabs, a committee of scientists -- and a biologist, stuck in the middle, head in her hands, wrestling with a nightmare about it all. 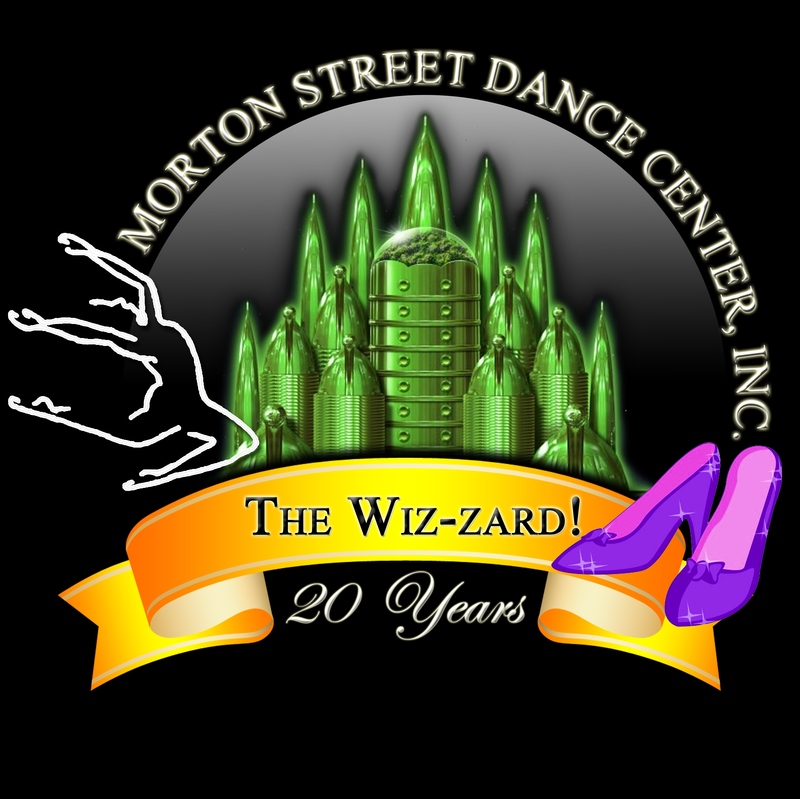 Soon to embark on its 20th Anniversary in Baltimore, Morton Street Dance Center is Baltimore's most comprehensive dance school. 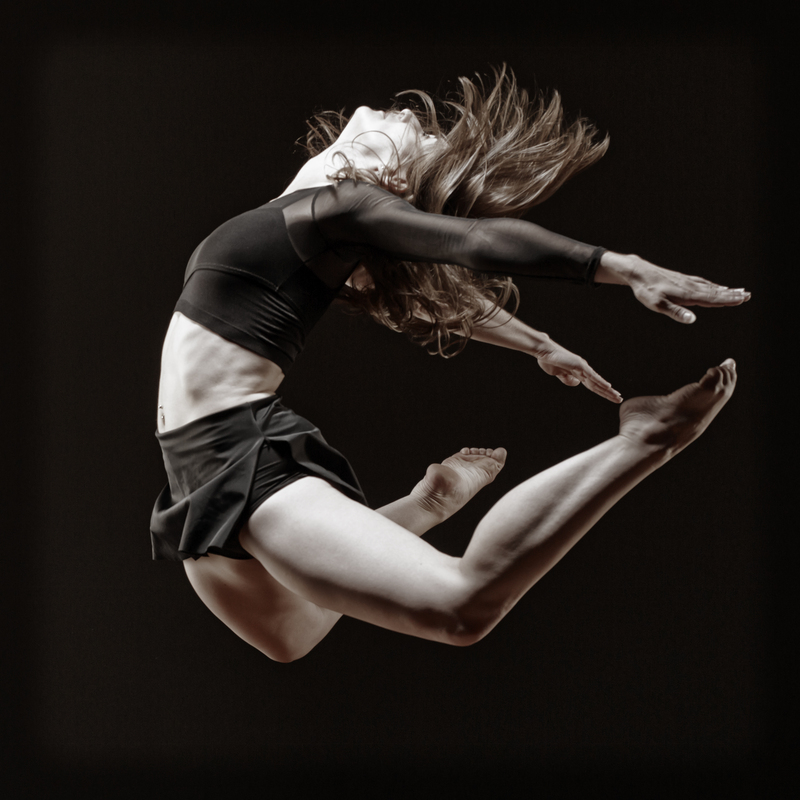 Home to Full Circle Dance Company and over 125 aspiring dancers from the Baltimore region, Morton Street Dance Center is a place that nurtures young talent and sets the stage for professional artistic growth. 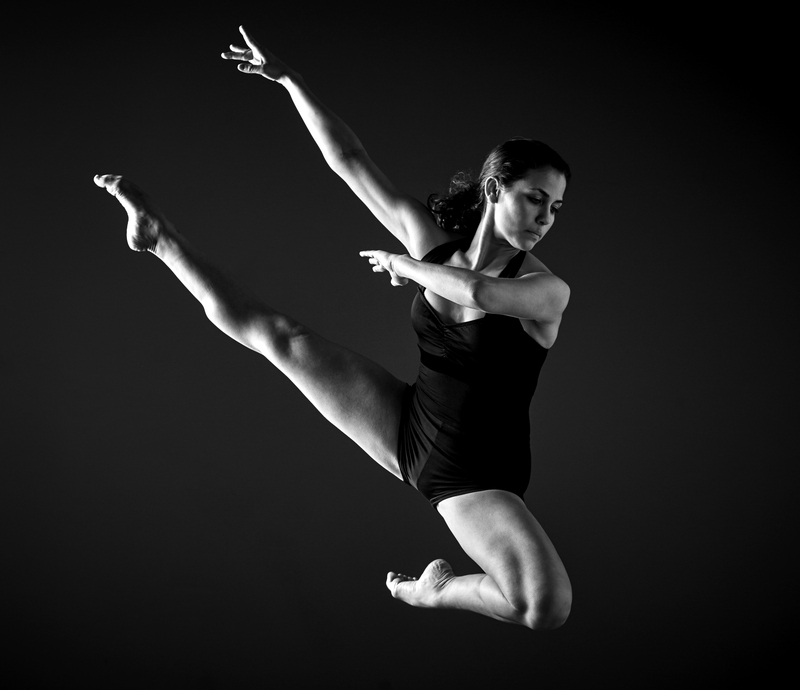 Morton Street's exceptional teaching staff offers exciting, age-appropriate, developmental instruction for professional level dancers and every member of the family age 3 to adult. By audition, students may be invited to become part of one of our performing ensembles for students age 8 to 18. The Repertory ensembles perform frequently throughout the year in venues that include: Balitmore's citywide Artscape Festival; the Dorothy P. Stanley Dance Festival at Morgan State University; DanceBaltimore at the Morris Mechanic Theatre and the Hippodrome Theatre; Baltimore's Annual Preakness Parade; the African American Heritage Arts Festival; and in the summer of 2008, headlined the "Music City Arts Conference" in Nashville, TN. In addition to presenting an immensely popular Annual Spring Concert, Morton Street also hosts an annual Summer Intensive, and has a history of other educational programs. In 2004 and 2005, Morton Street hosted a seven week Summer School in the Arts program, offered on behalf of the Morton Street Foundation, Inc. and sponsored in part by the National Endowment for the Arts. This was one of 25 programs in the U.S. selected for funding and offered many young dancers the chance to embrace the art of dance and immerse themselves in an enriching, enlivening atmosphere. Morton Street prides itself on its professional, technical, and inspired instruction, designed to meet the needs of each of its students. Morton Street was voted Baltimore's Best Dance School, by the Maryland Small Business Association, and voted as providing Baltimore's Best Dance Instruction by the U.S. Commerce Association in 2009. 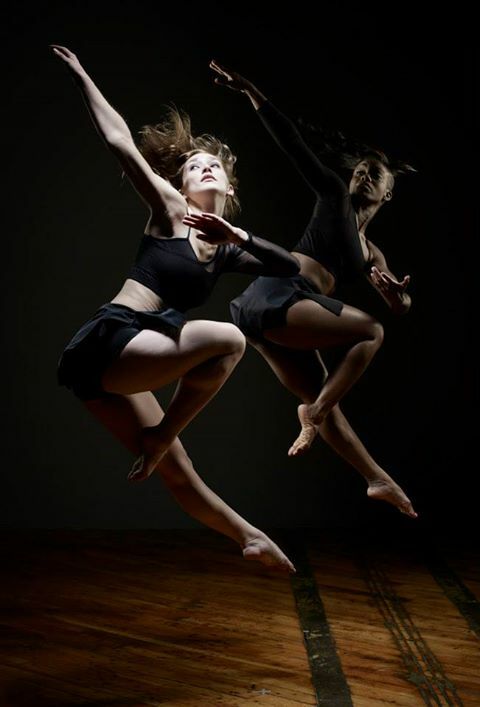 Morton Street is a proud member of DanceBaltimore and the Maryland Council for Dance. Morton street is also supported, in part, by the Morton Street Foundation, Inc. a 501(c)(3) corporation. 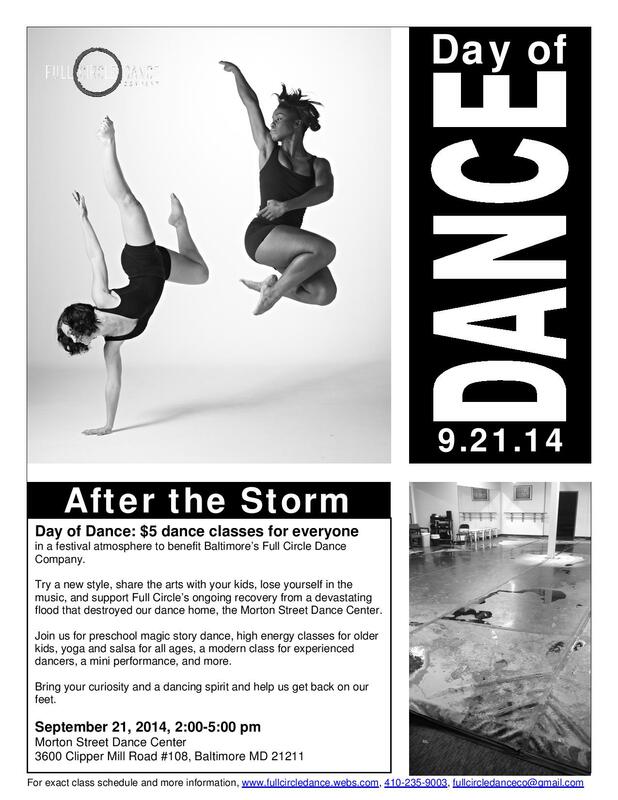 Full Circle Dance Company is in residence at the Morton Street Dance Center. The important partnership between school and company creates opportunities for professional dancers to share their knowledge with young dancers in training.